Talks over how best to unstick health reform legislation continued between House and Senate leaders with lawmakers from both sides of the Capitol Dome trying to gel around a method that would effectively revive the two stalled bills. A main option that has emerged would have the House pass the Senate's version of the bill with a legislative “side car”—or separate package—that would immediately amend major financial and coverage components of it. That separate bill would move under a budgetary process known as “reconciliation,” which allows it to pass the Senate on a simple majority vote. Yet it's unclear whether the arcane rules of the Congress allow for such a move, lawmakers concede. Senate leaders said they are waiting to hear from the chamber's official rules keeper, its parliamentarian, to determine if such a path is even doable. 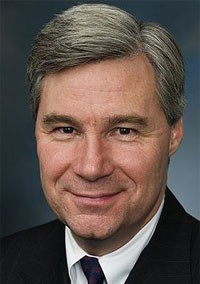 Sen. Sheldon Whitehouse (D-R.I.) said that the use of reconciliation is appropriate to ensure that a bill is passed, but that it's less than an ideal solution. At the same time, members of the Senate have all but moved on to other legislative priorities, including a jobs-creation package that lawmakers want to move before their weeklong recess later this month. Things seem just as uncertain on the other side of the Capitol. 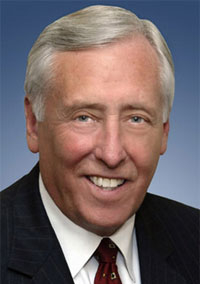 “We still have time” to enact healthcare reform,” House Majority Leader Steny Hoyer (D-Md.) said during his weekly news briefing, although consensus on how to proceed remains at large. Hoyer discredited earlier comments that the House would make a decision by the end of this week on a path to reform. “I anticipate making a decision just as soon as the way to go forward is clear,” he told reporters. Hoyer and others in the House Democratic Caucus have reservations about moving forward with a smaller, more narrowly focused bill. “It's easier said than done because of the interconnectedness of it all,” Rep. Gerald Connolly (D-Va.) said in an interview. “For example, you can't just pass a bill that says it's illegal for health insurance companies to deny coverage based on a pre-existing condition. You could do that, but if you do it in isolation, the effect of that would be to drive up everyone's premiums. To pay for it, you'd have to bring more people into the system, and have an individual mandate” to help bring down costs, Connolly said. There is some movement back to the idea of reconciliation, “but I wouldn't bet on it,” he added. All of these options will take up Congress' time, but “we can't just drop it,” Connolly said.